Sixteen times the size of the iconic children's building block. 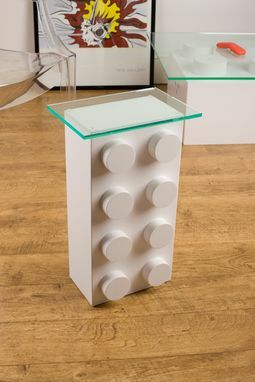 This little side-table is equally at home in a fashionable lounge or a child's bedroom. 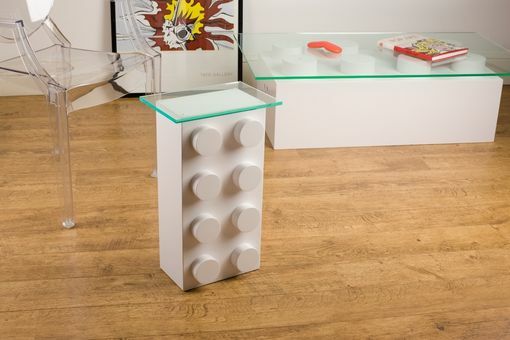 By removing the top, your table becomes a Pop Art sculpture. 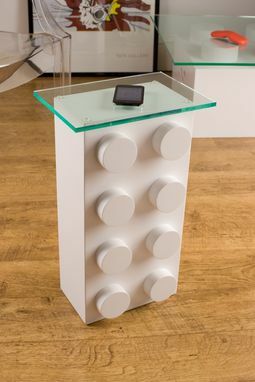 The base is made from MDF and the top is glass-look Perspex. The base comes in a standard white, red or blue painted finish. Send me an email to discuss other colors.